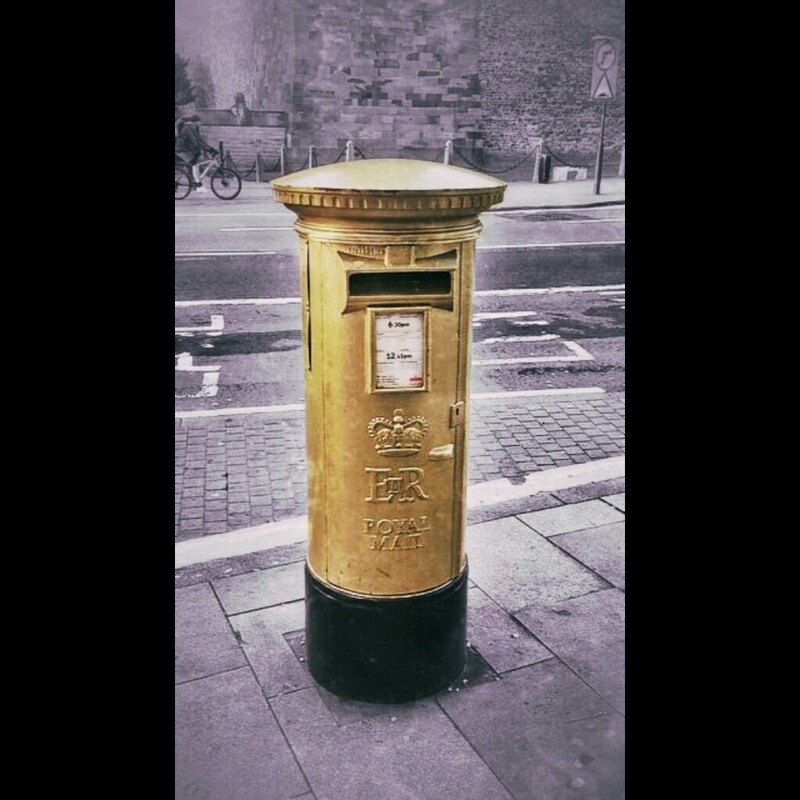 Some say an Olympic gold medal winner lives in the vicinity, and so this letter box has been branded gold. So human it is, to believe such a fib. Yes, this box is a servant to your communication needs. You thrust your missives into its mouth, and a man removes them from from its stomach. It is stuck, in an endless cycle of feed, and empty; stuff, and release. You have made this letter box in your own image! Take, then, the ceaseless sea of letters that flood the thing. Envelopes carrying complaints like curses to distant call centres; cards containing not-so-well wishes to relatives you secretly despise; and bills, so many bills, their machine-spat demands printed on pieces of paper, to be paid for by yet more pieces of paper… The rest of the universe wonders if you will ever stop babbling to yourselves, and open your ears to listen. But that doesn’t seem likely, now. Not with only a few days to go. There is always a grain of hope, however, even in your seemingly hopeless case. That is why we put this symbol here. You are choosing to see it as a post box. Of course, it isn’t that. As usual, you have refused our generous interception and continue to disregard ultimate reality in favour of your own. Your pride will not allow any other way of being. This isn’t the first time this has happened – but it may very well be the last. We await your response, dearest humans……..